NB Full report updated 2 October 2018 to reflect minor copy and formatting amendments. How can we get this into the news? Encourage politicians who have been victims of these accusations to cite it at every opportunity. Unfortunately it isn’t ‘official’, because the MSM won’t print criticism of themselves. Blogs and the MRC will be dismissed as biased. The academic connection is more useful, but less widely publicised. This confirms a previous report’s findings from the LSE or Birkbeck. It might be official, but the BBC at any rate are not reporting it! (Can’t find anything on their website today). Who are the authors ? What are their political persuasions ? Is this a truly independent report ? How does misreporting on this issue from MSM compare to other misreporting on other issues ( Brexit for example) . It’s degrees of relativeness. Before I have some answers it’s difficult to really judge. You are following one of the IHRA examples which states that it is anti-semitic to hold Israel more to account than another country in similar circumstances. In other words “Two or more wromgs make a right”. I agree 100% . Why should Israel be held to such ridiculous double standards . It is already held to a very high level even by Western standards and yet is surrounded by mostly Islamic, hostile or extreme hostile countries . It will always have the right to defend its citizens . I find what you say incredible. The shooting of unarmed protesters, every day, is scarcely mentioned. The cutting off of people from their farms, the cutting off of water supply, ditto. What high standards are you talking about?. you’ll be able to see the names and credentials of the authors and you can assess their methodology for yourself. I find the report credible. Thank you,. That work so badly needed doing. Now to force change or face disaster, the only Political Party who is able to do it is Labour. For this alone I would vote for them. Thank you,. That work so badly needed doing. Haven’t been able to listen to the BBC for months. bookmmarking and adding your RSS feed to my Google account. I lpok forwqrd to new updatres and will tal about this bllog with my Facebook group. I fail to see why this report is considered to contain anything of political significance regarding the antisemitism debate within Labour, or why those who deny there is any antisemitism (or not very much anyway) and oppose the IHRC definition are so excited and seem to think this report in some way vindicates them. Why are the Jewish Chronicle and Jewish News part of the illustration for this report, placed above and behind examples of the MSN? They are not included in the report. 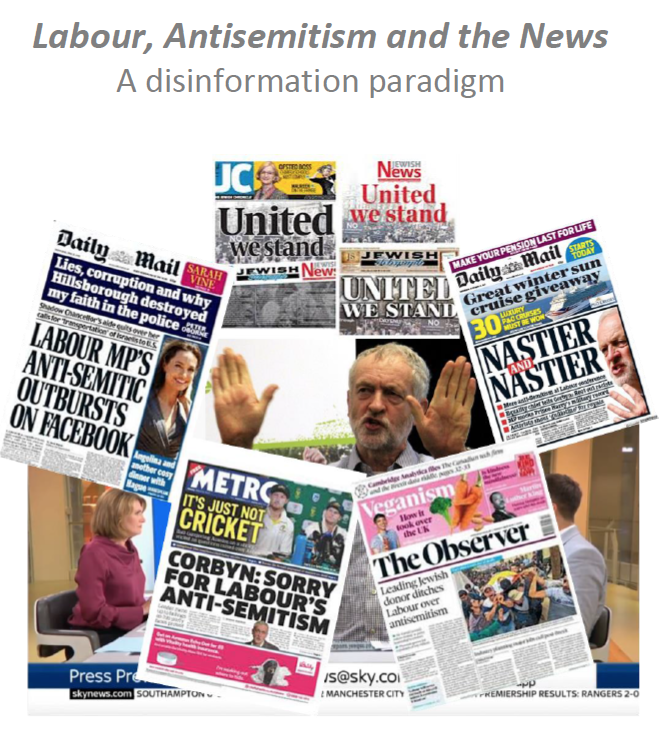 A load of left`wing academics from the department of snowflake and grievance studies at the university of lost trots think the press is biased against Corbyn. How convincing!